In addition to Somatic Healing, I’m a wellness advocate for doTERRA. These high quality essential oils can provide additional support for your well-being. To get started, I recommend the following blends: Balance, Cheer, Console, Forgive, Motivate and Peace. (click each link to learn the benefits) doTERRA offers many more individual oils and blends that can support you and your family’s health and well-being. Feel free to reach out to me to discuss your specific needs. I’d be happy to guide you. Not only does doTERRA seek out the best oils, but they take care of the people that supply them! This business practice translates into receiving exclusive partnerships with farmers and even regions as well as the reassurance that doTERRA is not only changing healthcare but are acting as good stewards of the world! 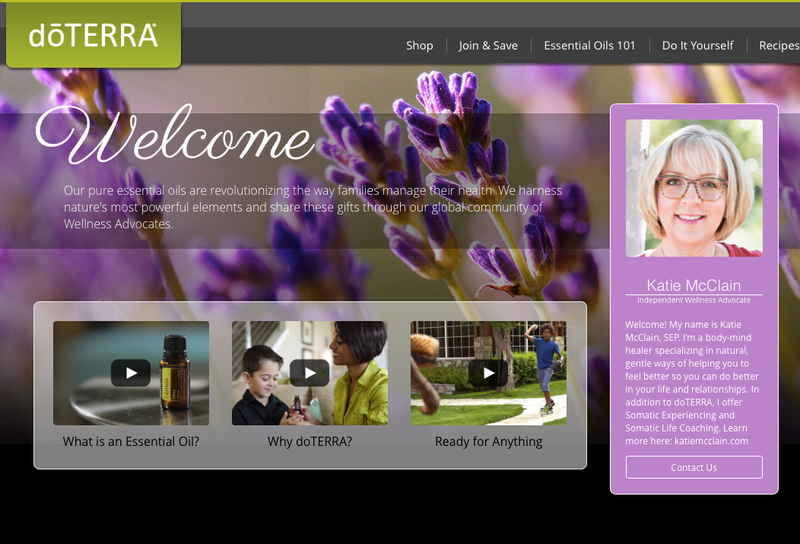 Click here to explore other doTERRA products and to order.